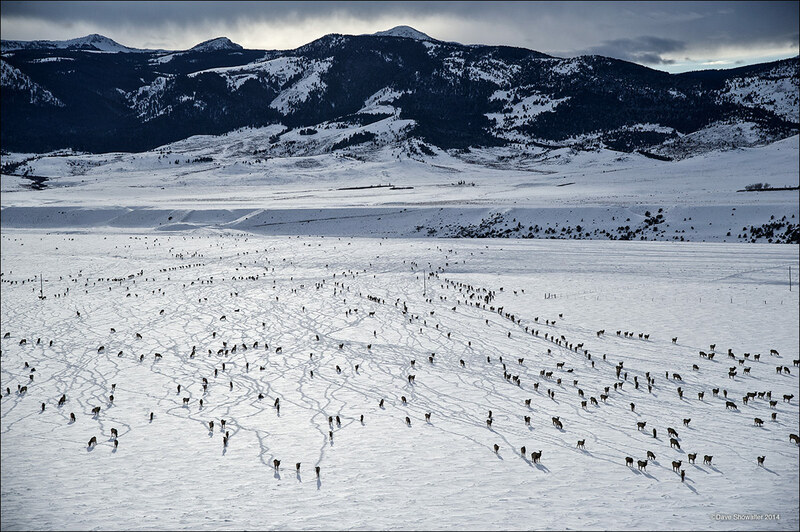 Elk seem to pour from the Garvelly Mountains northwest of Yellowstone National Park. I made this photo while flying with Lighthawk - the aerial perspective needed to show the grand scale of large elk herds moving to winter range. Across the West, ungulates migrate out of deep snow to wind-blown lower elevations, needing Freedom To Roam to forage for survival. Photo © copyright by Dave Showalter.